WASHINGTON (ApartmentList.com) – Four Texas cities have landed on Apartment List's ranking of the best cities in the nation for families. ​​​​Flower Mound ranked fourth with an overall grade of A+. The North Texas city had a weighted score of 92.8 and ranked ninth in high school graduation. ​No. 7 Cedar Park (91.4 weighted score) and No. 8 League City (90.9) both received an A+ grade. ​​No​. 9 Mansfield had a weighted score of 89.5 (A). Apartment List also ranked the 50 largest cities. Texas dominated those rankings, as well, with El Paso taking the number two spot, behind only Virginia Beach, Va. Dallas, Austin, and Fort Worth ranked fifth, sixth, and eighth, respectively. ​​Pharr ranked as the second-most affordable city. It was also eighth in child-friendliness. Plano ranked seventh in affordability. Abiline was sixth in safety. Laredo, Edinburg, and Harlingen were fifth, seventh, and tenth in child-friendliness, respectively. Baytown had the highest high school graduation rate. No. 3 Frisco, No. 4 Allen and No. 7 Wichita Falls also received high marks. ​​​​​EL PASO (Greater El Paso Association of Realtors) – Last month, 708 single-family home sales closed, up 34.6 percent from 526 closed sales in February, according to the Greater El Paso Association of Realtors' "Monthly Listing Snapshot" report. The average sale price was $176,619, reflecting no change month over month. The median sale price was $158,000, falling 3.3 percent. There were 1,024 new listings across the metro, up 5.7 percent over the month. 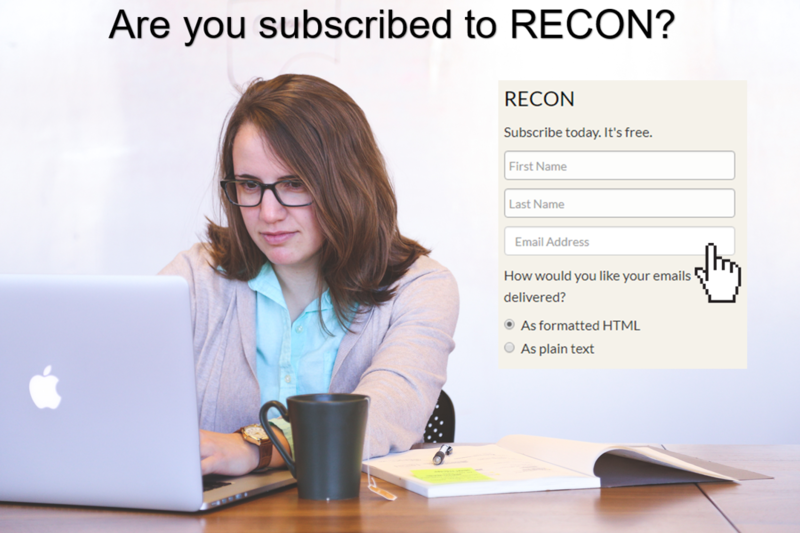 There were 2,504 active listings in March. 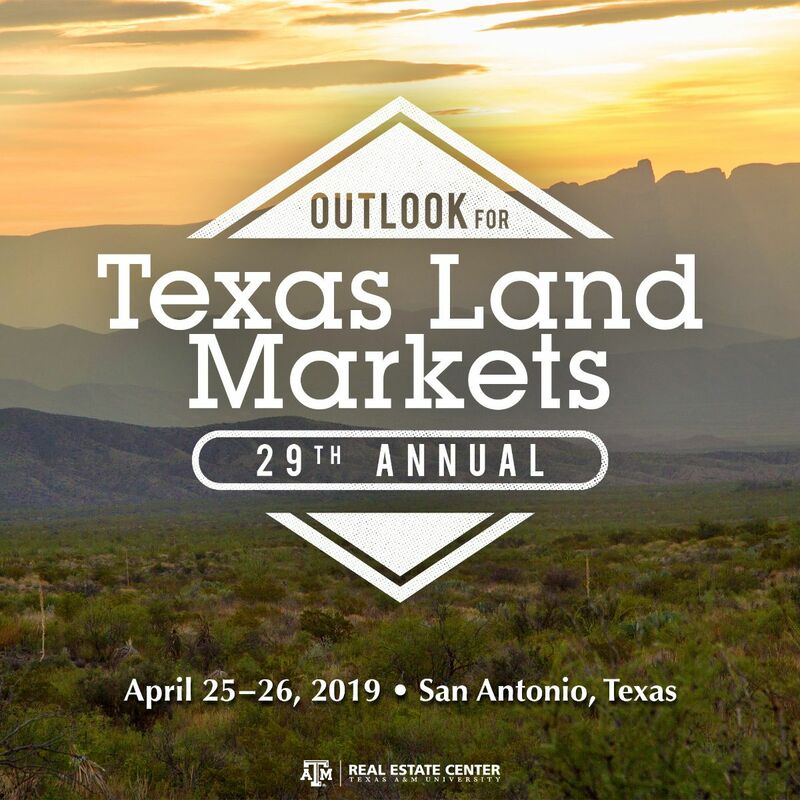 Our 29th Annual Outlook for Texas Land Markets conference is next week on April 25-26. The conference provides information on a variety of legal, economic, social and natural resources issues influencing current land market dynamics. ​Register today! Don't forget to RSVP on Facebook and use the hashtag #TXLand2019 on social media to stay updated. McALLEN (CBRE) – The industrial vacancy rate fell 130 basis points over the year in first quarter 2019 to 1.7 percent, beating fourth quarter 2018's previous record low of 2.4 percent. According to CBRE, net absorption in the last quarter was 111,000 sf more than the combined first quarter net absorption for 2017 and 2018, which also surpassed the ten-year quarterly absorption average by 129,000 sf. Marketwide asking rates grew by $0.30 per sf over the quarter. Class A and B rents increased by $0.11 per sf, a new record high for both product classes as well as the marketwide rate. The quarter closed with users seeking over 1.7 million sf. This is 635,000 sf more than the total available sf and four times more than the total vacant sf in the market. HOUSTON (Houston Business Journal) – Drewery Place, a $200 million, 27-story multifamily high-rise at 2850 Fannin St., will be the first element of the 3.5-acre Laneways development. The 357 units will average around 1,000 sf and be made up of 21 micro units, 33 studios, 40 junior apartments, 149 one-bedroom units, and 114 two-bedroom units. Amenities will include a yoga studio, outdoor yoga lawn, pool with swim-up bar, sky lounge, valet, and 24-hour concierge. Leasing will begin next month with the building opening in July. Drewery Place will feature 13,000 sf of retail on the first floor, which is about 80 percent leased. FORT WORTH (Greater Fort Worth Association of Realtors) – Local home sales increased 6.2 percent to 1,129 homes, according to the Greater Fort Worth Association of Realtors' March 2019 Housing Report. 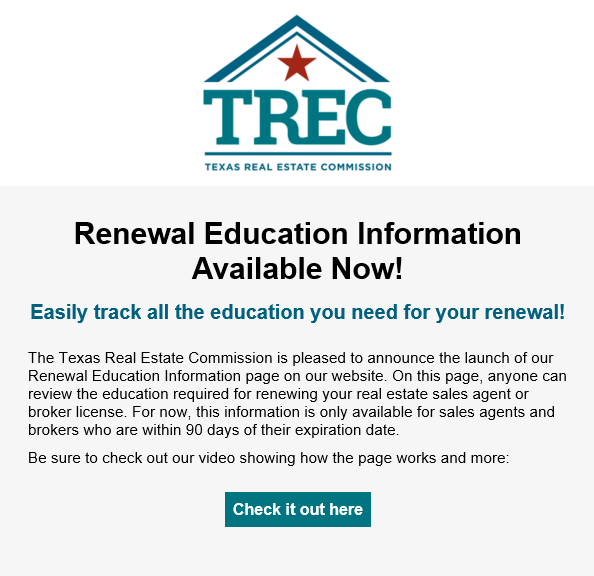 The data came from the Real Estate Center ​and Texas Realtors. The median home price increased 4.1 percent year-over-year to $228,900. Homes spent an average of 49 days on the market, five days more than March 2018, and active listings increased 26.8 percent to 2,360 listings. ​The area’s monthly housing inventory was 2.2 months in March, half a month more than in March 2018. The Center considers six to 6.5​months of inventory a balanced market. ​​​​HUTCHINS (Business Wire) ​– A consumer packaged goods manufacturer has leased a 1.1-million-sf, cross-docked industrial building at 1200 Fulghum Rd. in the 252-acre Southport Logistics Park. CBRE represented the property owner, Logistics Property Company​ LLC. Colliers International represented​ the tenant​. The logistics park is now fully leased. ​In addition to the facility just leased, Southport includes a ​400,000-sf cross-docked facility, a 1.2 million-sf speculative build-to-suit, and an 850,000-sf speculative build-to-suit. 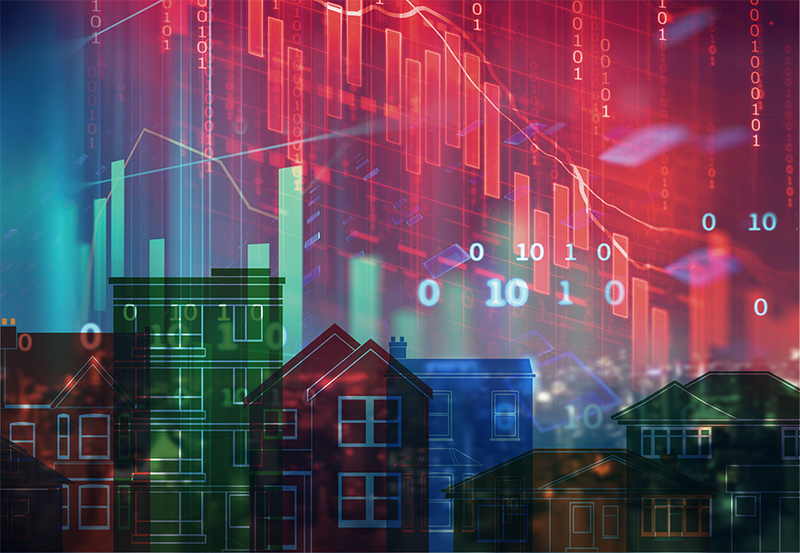 ​​​​​​​AUSTIN (Austin Board of Realtors) – Citywide home sales dipped last month as the median price rose, according to the March 2019 Central Texas Housing Market report by the Austin Board of Realtors. Single-family home sales decreased by 4.6 percent over the year to 781 sales in March. The median price was up 3 percent to $375,000. Sales dollar volume decreased 0.4 percent to nearly $372 million. New listings decreased 10.4 percent to 1,038, active listings decreased 1.5 percent to 1,149, and pending sales slightly decreased by 1 percent. The average number of days spent on the market dropped four days to 42. PLANO (Dallas Morning News) – Billingsley Co. has started work on the first two buildings in a new office campus near the northwest corner of the Dallas North Tollway and Bush Turnpike in the International Business Park. The four-story, 180,000-sf office building​ will open in June 2020. A separate single-story amenity center will house a fitness center, conference facilities, and food service. The new campus will eventually add almost another one million sf in five planned buildings to the business park. SPRING (REBusiness Online) – Northridge Capital LLC has acquired HP Plaza, the 378,401-sf Hewlett-Packard office campus within CityPlace at Springwoods Village. HOUSTON (Houston Business Journal) – Moody Rambin will begin work in June on a 185,000-sf building next to CityCentre and Town & Country Village at the eight-story Town Centre Two at 730 Town & Country Blvd. It will cost an estimated $22 million. An existing garage will be retrofitted with two new elevators for the project. Kirksey is the design architect. ​​​​​​DALLAS-FORT WORTH (Dallas Business Journal)– New-home starts in North Texas fell slightly in the first quarter after experiencing a similar decline in fourth quarter 2018, according to Residential Strategies Inc.
Local homebuilders started on 8,439 new homes in last quarter, down 4.4 percent from the 8,823 starts in first quarter 2018. DFW's annual new-home start rate (April 1, 2018, through March 31, 2019) stands at 34,740 units. New-home closings climbed slightly to 8,068 units, up 2.3 percent from the same timeframe in 2018. Preowned housing sales are down slightly in DFW as well. According to the Real Estate Center, there were 99,159 resales in the 12 months ending February 2019. That's down 3.47 percent compared with the year prior. 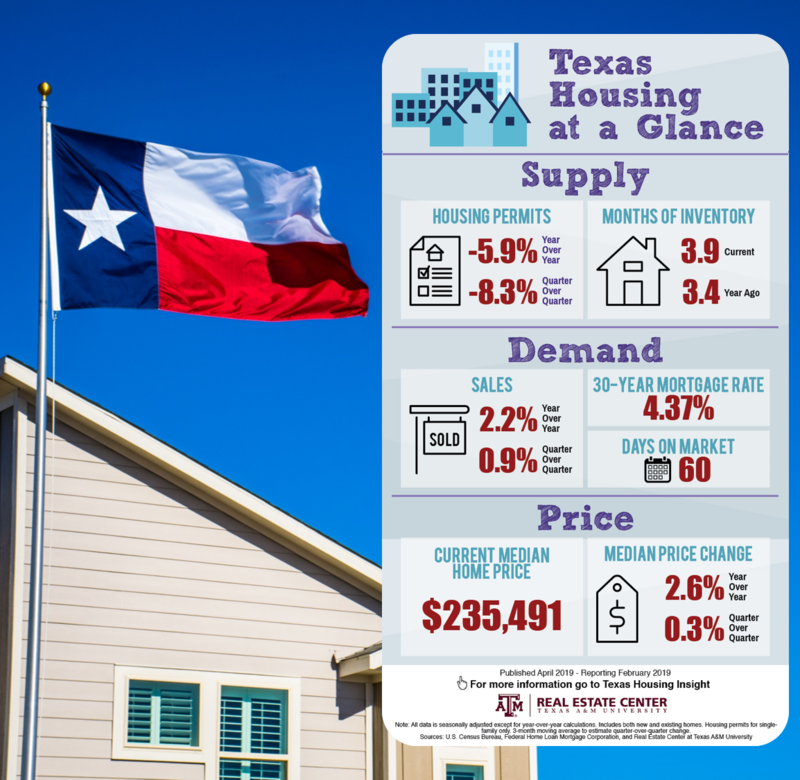 For more, check out the Center's Texas Housing Insight​ report. Register today for our 29th Annual Outlook for Texas Land Markets conference on April 25-26. The conference provides information on a variety of legal, economic, social and natural resources issues influencing current land market dynamics. ​Don't forget to RSVP on Facebook and use the hashtag #TXLand2019 on social media to stay updated. ​​CHICAGO (Health Leaders Media)– Blue Cross and Blue Shield of Texas and Sanitas USA have partnered to open ten advanced primary care clinics in Dallas and Harris Counties. The clinics will provide primary care, urgent care, lab and diagnostic imaging services, care coordination, and wellness and disease management programs under one roof. They will be in Bellaire, Katy, Northwest Houston, Southeast Houston, Spring, and West Houston in Harris County; and Irving, Las Colinas, Mesquite, and Richardson in Dallas County. Construction begins this spring, and delivery is set for Jan. 1, 2020. Some clinics will be open every day, and all locations will have extended weekday and weekend hours. They will service Blue Cross and Blue Shield cardholders and accept self-pay patients and seniors with ​Medicare coverage. 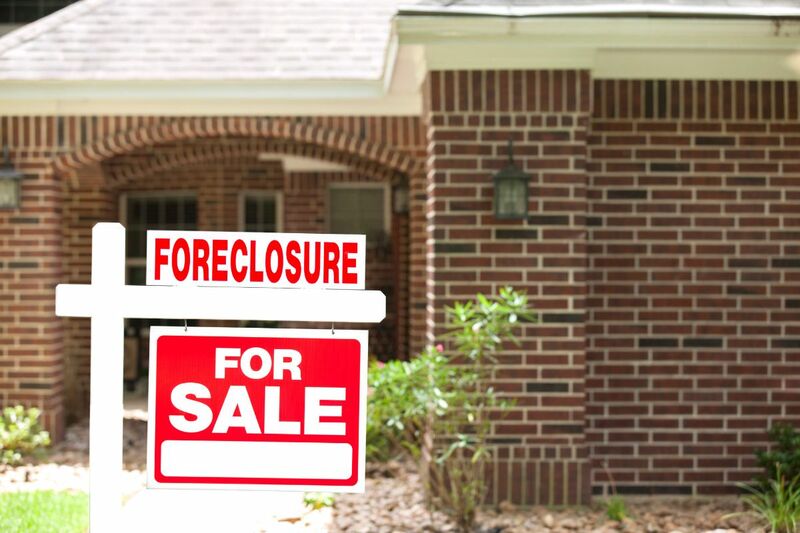 ​​​​​DALLAS-FORT WORTH (Dallas Morning News) – Nationwide home foreclosure rates are the lowest in at least 20 years, according to CoreLogic. Only 0.4 percent of U.S. home loans were in foreclosure in January; in DFW, the foreclosure rate was half that at 0.2 percent. Nationwide, 1.4 percent of homeowners with a loan were 90 days or more past due with payments. Only 1.2 percent of North Texas home loans were seriously delinquent in January. During the worst of the recession in 2010, more than 5 percent of Dallas-area mortgages were seriously delinquent and about 1.5 percent of all loans were in foreclosure. Home foreclosure rates in January were highest in Miami (0.9 percent), Las Vegas (0.6 percent), and Chicago (0.6 percent). Houston still has one of the highest big-city home loan delinquency rates at 5 percent. 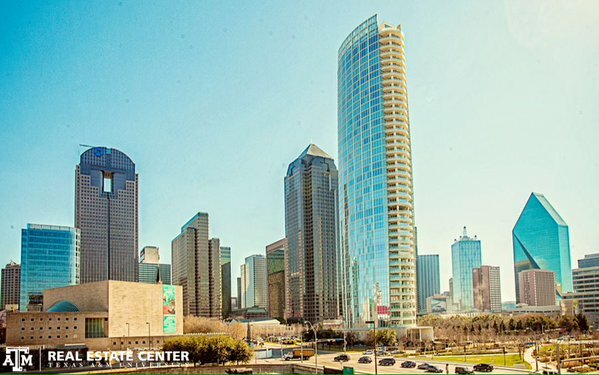 The Real Estate Center's Texas Quarterly Commercial Report looks at past, present, and future commercial real estate activity in the state's four major metropolitan areas. It covers the office, retail, and warehouse sectors. Read and download the report for free, and subscribe to know when the next issue is published. ​LEWISVILLE (Dallas Morning News) – Developers have started construction on the second phase of the $1.5 billion, 324-acre Realm at Castle Hills development on SH 121 west of Josey Ln. Housing sales declined in February as the Texas border economies stagnated amid payroll reductions. Residential construction and permit activity remained sluggish, although nonresidential construction values picked up. Housing prices continued to rise, but real wages struggled to keep pace, underlining ongoing affordability troubles. The greatest headwinds to the border economies include political uncertainty regarding immigration reform and trade. 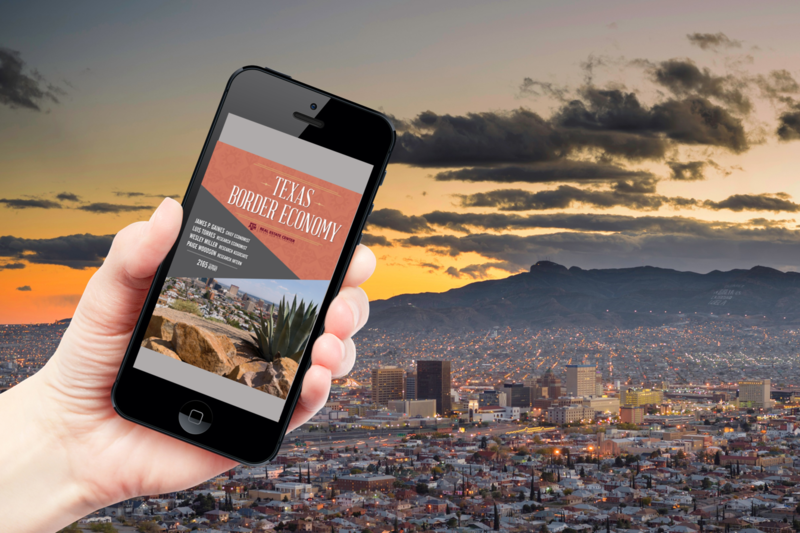 Read the Texas Border Economy report for more. ​​SAN ANTONIO (San Antonio Business Journal) – A partnership between American Landmark Apartments and Electra America has purchased the 306-unit Manor at Castle Hills from Provident Realty Advisors. FORT WORTH (REBusiness Online) – CT Realty, in a joint venture with Mitsubishi’s Diamond Realty Investments, has begun construction on Westport Logistics Center, an 882,565-sf industrial project within the Alliance submarket. The two buildings will have either single-sided or cross-dock configurations with 32- and 36-ft clear heights, 185-ft truck courts, and build-to-suit office spaces. The facility will be within a mile of I-35 and adjacent to Fort Worth Alliance Airport and the BNSF intermodal railway. ​Completion is slated for fourth quarter 2019. ​​​​PRINCETON (Dallas Business Journal) – A Centurion American Development Group affiliate has purchased the 854-acre Whitewing Trails master-planned community along US 380 near Monte Carlo Blvd. and FM 75. The community will have 2,415 single-family lots and open space, miles of hiking and biking trails, and other mixed-use land. Plans previously included a new elementary school and city hall. Land Advisor Organization represented the seller, Arizona-based Macavity Co. It acquired Whitewing Trails in 2016. SAN MARCOS (REBusiness Online) – Hayden Properties LLC has purchased 1271 San Marcos from Covenant Development and Parkcrest Builders LLC. HOUSTON (REBusiness Online) – Duke Realty will develop Clay 99 Building 5, a 433,200-sf industrial project on 23.7 acres off the Grand Parkway. ​SAN ANTONIO (REBusiness Online) – Westmount Realty Capital has acquired The Pointe at Ramsgate, a 300-unit multifamily property at 10707 I-10. Built in 1975, the complex offers one- and two-bedroom units averaging 682 sf. Amenities include two pools, a fitness center, outdoor grilling area, and a dog park. ​​WASHINGTON (U.S. News and World Report​) – Austin has taken the top spot of U.S. News and World Report​'s list of the best places to live in the nation. The capital ​​scored 7.6 overall​​, with desirability and net migration at 9.0, quality of life at 7.3,​​ and value at 6.7. According to U.S. News, people are drawn to the city's music, outdoor spaces, and cultural institutions. While home values are increasing, the report noted Texas' lack of income tax and the low state and local tax rates. However, Austin is among the nation's worst metros for transit. ​Dallas-Fort Worth, Houston, and San Antonio ranked 21st, 30th, and 3​​4th, respectively. The rest of the top five rankings are Denver; Colorado Springs, Colo.; Fayetteville, Ark. ; and Des Moines, Iowa. Houston most diverse city in U.S.
​​​WASHINGTON (WalletHub) – Houston is the most diverse city in the U.S., according to a WalletHub ranking. ​WalletHub compared 501 cities and ranked them based on several key factors. Houston ​​ranked 101st in ​​socioeconomic diversity,​​ 29th in cultural diversity, ​​121st in economic diversity,​​ 110th in household diversity,​ and 53​rd in religious diversity. ​​Laredo was the least diverse Texas city, ranking 463rd overall. It had the second-least racial/ethnic and age diversity. No. 10 Long Beach, Calif.
For more on Texas' changing ​demographic makeup, read "The New Texans"​ on the Real Estate Center's website. MIDLAND (Midland Reporter-Telegram) – Officials have broken ground on the $15 million Centennial Park bordered by N. Colorado St., W. Texas Ave., and W. Wall St.
Plans include a large green space, performance stage, pavilion with a media screen, splash pad water feature, children’s play area, dog park, restrooms, and tree-lined promenades. The Midland Downtown Park Conservancy will construct, promote, schedule, and manage Centennial Park. It is modeled after designs used in numerous parks across the country, including Klyde Warren Park in Dallas and Discovery Green in Houston. 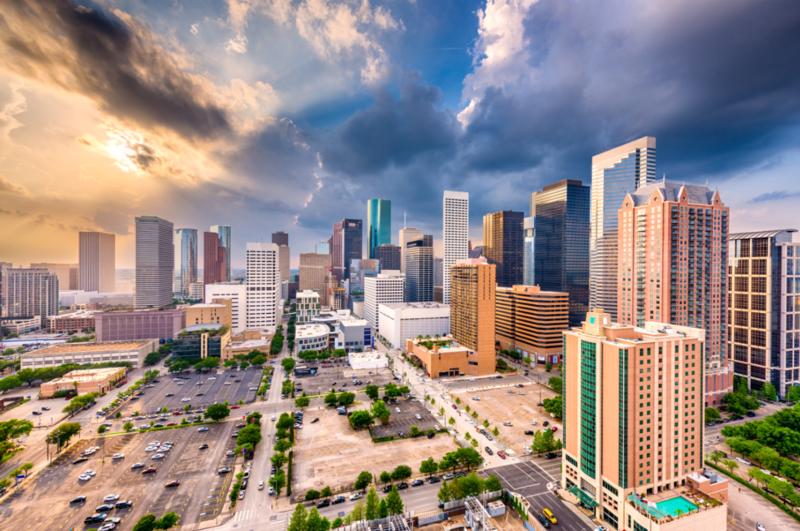 The Houston Economics Club (THEC) is hosting its Real Estate Trends and Disruption luncheon Thursday, April 18, at 11 a.m. at the Federal Reserve Bank of Dallas - Houston Branch at 1801 Allen Pkwy. Cost is $20 for THEC members, $30 for nonmembers, and $10 for students. Get more on THEC's website. HOUSTON (Austin Business Journal) – CapRidge Partners LLC has bought three office buildings totaling more than half a million sf. ​6363 Woodway Dr., last appraised at $22.58 million. CapRidge will spend $15 million to renovate and reposition the buildings. HFF represented both CapRidge and the seller, a partnership led by Unilev Capital Corp.
SAN MARCOS (MultifamilyBiz.com) – Mission Trail at El Camino Real, a mixed-income housing community, has broken ground at the intersection of SH 123 and Clovis Barker Rd. The 352-unit complex will have 15 garden-style buildings across 30 acres. Units will have from one to four bedrooms. The majority of apartments will be reserved for households earning 60 percent or less of the area median income. Ten percent of the units will be reserved for those earning less than 40 percent of the area median income. Thirty-five apartments will have no income restrictions. The Michaels Organization is developing the project. Kelly Grossman Architects is the designer. FORT WORTH (Pavlov Agency) – Lang Partners has broken ground on The Cooper, a $65 million, five-story multifamily community at 1001 W. Rosedale St. in the Near Southside district. The 390-unit development will offer one-, two-, and three-bedroom apartments, lofts, and townhomes ranging from 600 to 1,810 sf. ​Amenities will include a pool, fitness center, coworking spaces with meeting/conference rooms, and a six-level garage with 547 parking spaces, 80 of which will be open for public use. Completion is set for August 2020. KWA Construction is the project’s general contractor, and GFF is the architect. SAN ANTONIO (REBusiness Online) – REATA Real Estate Services has acquired Brooks Corner Shopping Center at the northwest corner of S.E. Military Dr. and I-37. The 173,041-sf retail center was 96 percent leased to tenants including Ross Dress for Less, Petco, Conn’s HomePlus, and Dollar Tree. InvenTrust Properties sold the property. AUSTIN (Austin Business Journal) – Software and information technology company Zoho Corp. will build its U.S. headquarters on 375 acres near Kellam Rd. and SH 71. The 100,000-sf campus will house 400-500 employees when completed in 2021. About 60 Zoho employees work locally at the company's current office at the Bergstrom Tech Center. That number is expected to double during the next 12 months. LIVE OAK (Holliday Fenoglio Fowler) – Tryperion Partners has sold the 136,553-sf Gateway Plaza retail center to Nooner Holdings. The 13.7-acre property was built in 2008 at 7505, 7513, and 7529 N. Loop 1604 E. It is 98.3 percent leased to tenants such as Goodwill, Laser Legend, and Burlington. ARLINGTON (Marcus & Millichap) – Aspen Woods, a 228-unit apartment property at 2910 S. Collins St., has been sold. Marcus & Millichap arranged​ the sale. ​​DALLAS-FORT WORTH (Dallas Morning News) – Nationwide home prices rose 4 percent in February from a year ago, and Dallas prices grew 3.96 percent, according to CoreLogic. While Dallas-area increases trailed the national rate slightly, the Fort Worth area had a more than 5.7 percent rise from a year ago. That was the largest home-price growth in any major Texas metro. Prices were up about 3.4 percent in Houston, 3.7 percent in Austin, and almost 5 percent in San Antonio. CoreLogic forecasts that nationwide housing values will grow 4.7 percent during the next year. Even with the slowdown in appreciation, CoreLogic still considers Dallas-area residential prices overvalued. EL PASO (CBRE) – Following a record year of net absorption, first quarter 2019 saw 604,472 sf of gross absorption that resulted in only 46,536 sf of net absorption, according to CBRE’s Q1 2019 El Paso Industrial MarketView​. 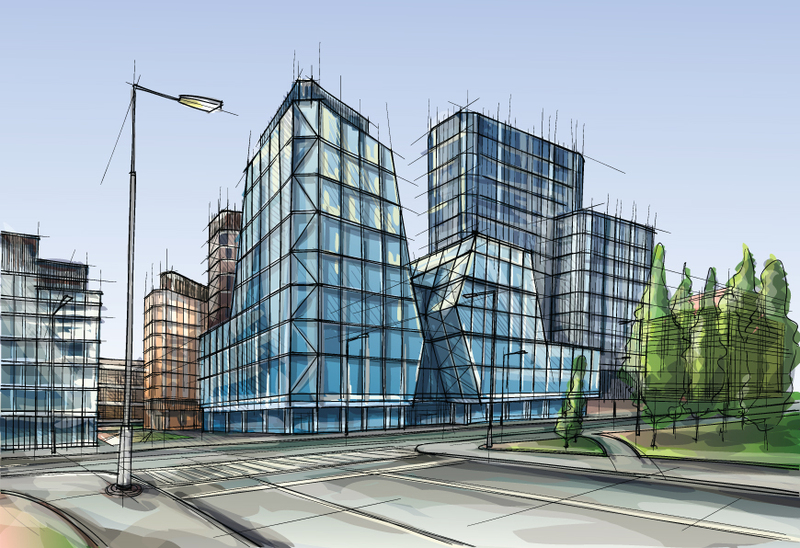 With only one speculative building under construction and a large part of the market vacancy held in two buildings, options for industrial tenants are extremely limited. Marketwide average asking rates grew by $0.18 per sf over the quarter and by $0.54 per sf over the year. Compared to recent trends, Class A rents remained relatively flat, increasing $0.05 per sf since fourth quarter 2018. CONROE (Houston Business Journal) – Margaritaville Holdings LLC, Songy Highroads, and The Wampold Cos. is developing the 186-acre Margaritaville Resort at Lake Conroe. The property will feature 360 guest rooms across the main 20-story hotel tower and the waterfront villas on the lake. Two existing restaurants will become signature Margaritaville dining concepts: LandShark Bar & Grill and 5 O​'Clock Somewhere Bar & Grill. Developers will refurbish the 18-hole golf course, tennis facilities, spa, restaurants, outdoor pools, and 45,000 sf of indoor/outdoor meeting space. Work will begin this summer and wrap up by third quarter 2020. This will be the first Margaritaville-branded project in Texas. 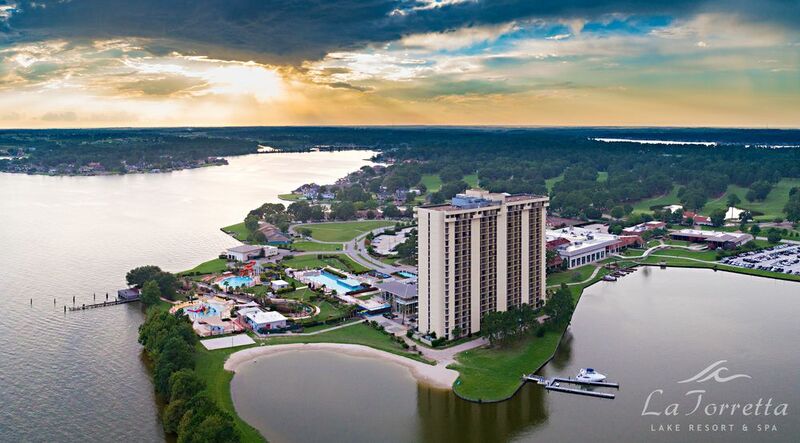 The site is currently home to La Torretta Lake Resort & Spa. ​​Locally based McCarthy Building Companies Inc. and Gensler are the general contractor and architect, respectively. 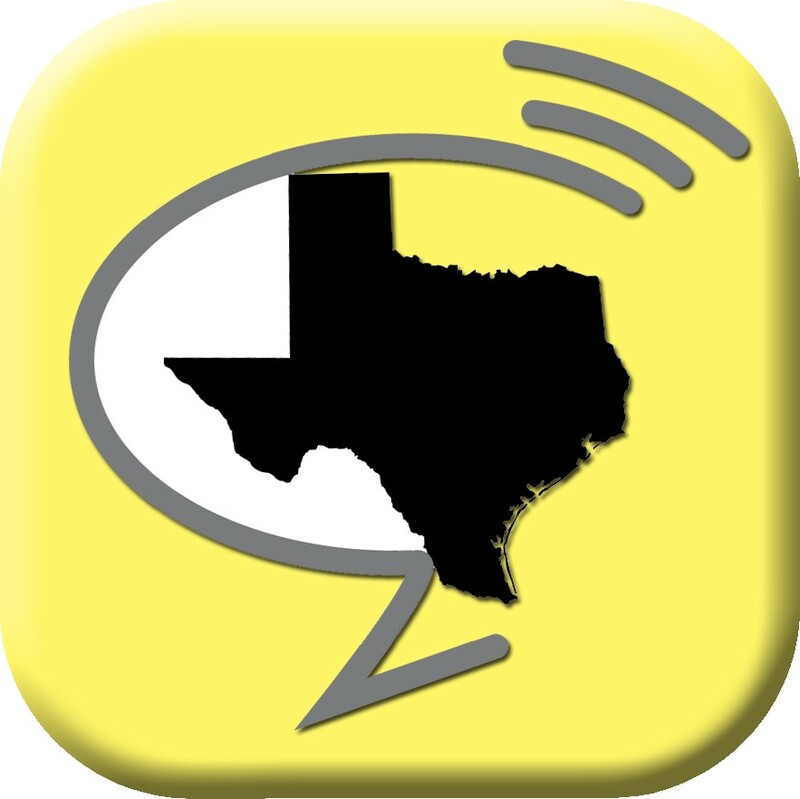 NewsTalk Texas is updated each weekday. SAN ANTONIO (Real Estate Center) – Fourth quarter 2018 saw large upticks in construction values across the office and industrial sector while retail trended in the opposite direction​​, according to the Real Estate Center's Texas Quarterly Commercial Report. Actual vacancy remained steady at 11.5 percent in 4Q2018 and continues to approach the natural vacancy of 12 percent. Rents grew 4.7 percent, but growth rate is expected to decrease through 2019 to 2.6 percent for the year. 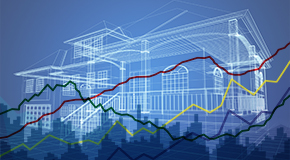 Construction values shot up tremendously in the quarter. This large uptick is due to Microsoft’s construction of three data center buildings totaling $400 million. Rent growth is expected to average 3.9 percent over 2019, while actual vacancy is predicted to average 4.5 percent, much less than the natural vacancy of 6 percent. Since mid-2012, natural vacancy has exceeded actual vacancy, which dictated the increase in rent growth. Suppressed levels of new construction have likely facilitated positive net absorption. Construction values have dropped and flattened in the last three quarters, indicating that the downward trend is now starting to reflect the level of new construction. Actual vacancy has been below the natural vacancy of 8 percent, largely hovering between 6 and 7 percent. Vacancy is expected to remain flat through 2019 and average 6.6 percent. Rent growth sank to a seven-year low of -3.7 percent in 4Q2018, and is expected to remain flat over 2019, averaging -0.8 percent. A sharp increase in construction values is due to the construction of H-E-B’s new 1.6 million-sf warehouse, which will add 600-700 jobs. DALLAS-FORT WORTH (CBRE) – Tightening available retail space across North Texas is driving a spike in retail occupancy rates, according to CBRE’s Q1 2019 Dallas-Fort Worth Retail MarketView​. Employment in the Metroplex increased an annualized 3.1 percent in February 2019. Fort Worth experienced a decrease in construction over the past year after several years of robust growth. ​​​HOUSTON (Houston Business Journal) – Crown Castle International Corp., the nation's largest provider of communications infrastructure, is developing a 13-story, 420,000-sf office building at 8020 Katy Fwy. Work will start in August on the $55 million project and will wrap up January 2021. The property, which is currently occupied by Debner, was purchased by Crown Castle in July 2018 from San Francisco-based Prologis. IRVING (Dallas Morning News) – Exeter Finance will relocate its corporate headquarters to a three-story office building at 2101 W. John Carpenter Fwy. in the Carpenter Corporate Center in Las Colinas. The company is subleasing 111,795 sf from health firm Humana. The space is nearly double the size of its current headquarters. Its operations are currently​ in the Urban Towers complex near O'Connor Rd. Built in 2008 and 2009, the Carpenter Corporate Center is owned by Chambers St. Properties. Cushman & Wakefield negotiated the lease. AUSTIN (Austin Business Journal) – Indeed Inc. has leased the entire five-story, 183,911-sf Domain Gateway building at 2900 Esperanza Crossing. The company will move into the building in phases beginning third quarter this year. The lease gives Indeed more than one million sf in northern and downtown Austin. It has more than 2,000 employees citywide and will hire 3,000 over the next several years. ​​​​WASHINGTON (Realtor.com) – ​​​Three Texas metros ​​​​have landed on Realtor.com's projections of the top ten cities for home construction in 2019. Dallas ranked first with ​63,​421​ permits, a ​2.8 percent growth over the year. The median list price in the metro is​ $335,700. No. 2 Houston ​​​has 57,021 permits—up 33.6 percent over the year—and a list price of ​$310,100. Realtor.com analyzed census data to figure out where builders scored the most residential construction permits. The permits are for single-family homes, condos and co-ops, apartments, townhouses, and duplexes. Texas land has always been popular for hunting, fishing, and other recreational uses. But who is buying, what are they looking for, and where are they looking? 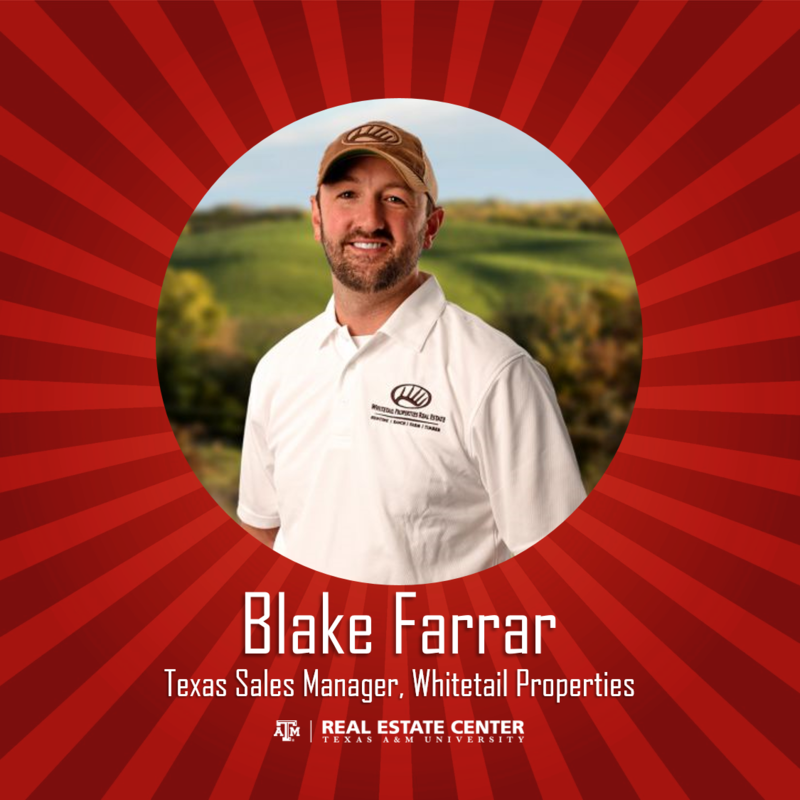 Whitetail Properties Texas Sales Manager Blake Farrar shares his insights on the Red Zone podcast. Tune in on our website, iTunes, or YouTube. 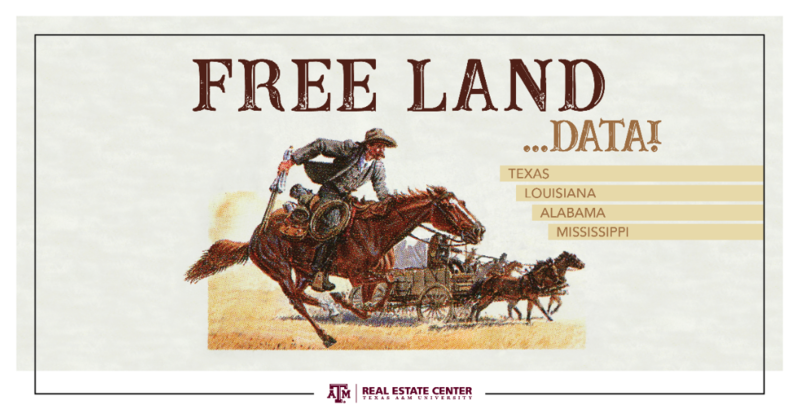 ​​COLLEGE STATION (Real Estate Center) – Los Angeles, Toronto, Queensland, Pittsburgh, Wellington, New York City, Moscow, and College Station. All are homes to 2019 Gold Quill Award winners announced this week by the International Association of Business Communicators (IABC). 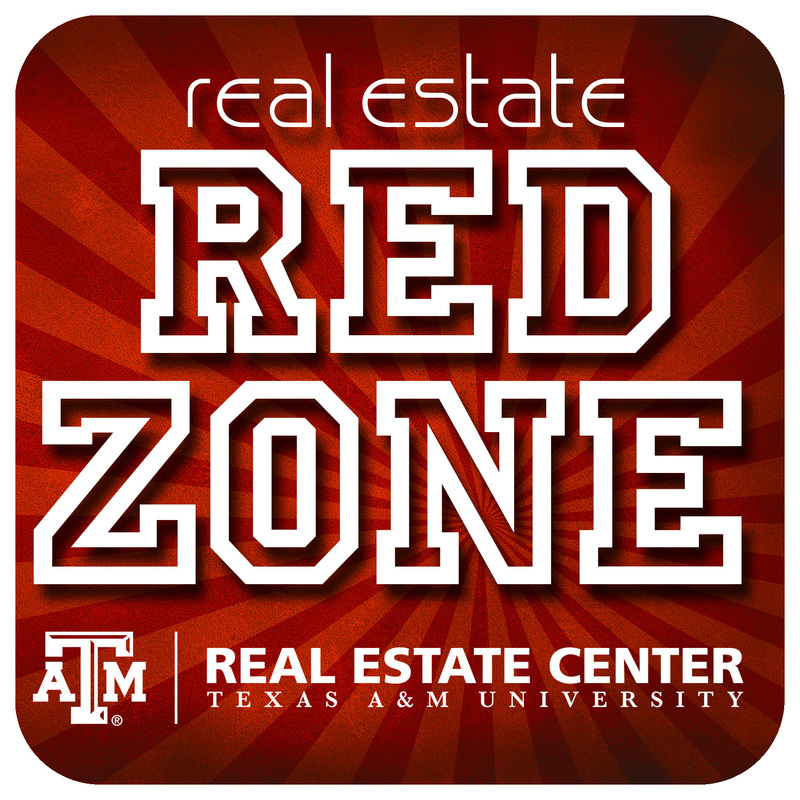 The Real Estate Center at Texas A&M University won the award for its quarterly periodical Tierra Grande magazine. 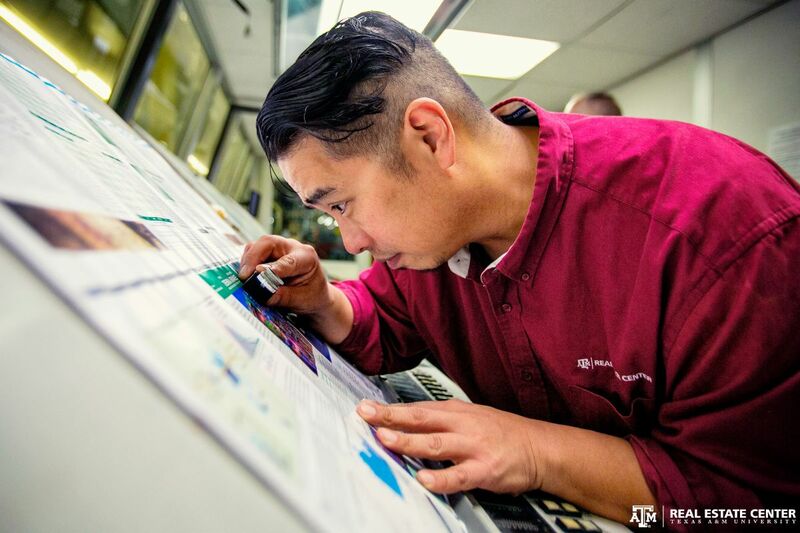 The Center was the only Texas winner outside the state’s major metros of Dallas and Houston. It’s the Center’s third Gold Quill in the last four years and its fifth overall. This year’s judges called Tierra Grande, "A strong entry on all fronts. 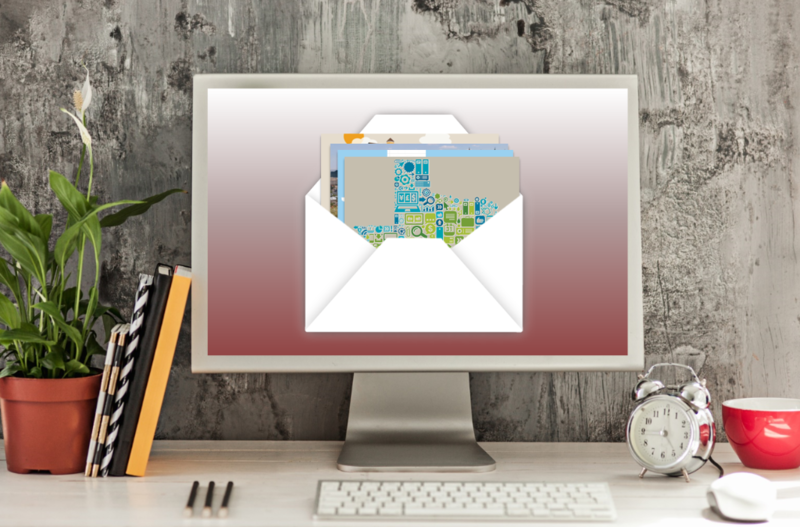 The team obviously put a lot of effort into the product, to ensure it was vibrant, visual as well as packed with useful information for its target readership." Gold Quill winners were selected from among 638 entries reviewed by more than 250 evaluators. Entries were measured against the highest industry standards. Overall, the healthy labor market, population growth, and the economic expansion supported strong Texas housing demand in February. Statewide home sales increased 5.2 percent over the month amid lower mortgage rates and decreased price pressure. Get the full story in our latest Texas Housing Insight report. ​​​​​AUSTIN (CBRE) – Market fundamentals reached new heights last quarter, with absorption hitting 548,351 sf and vacancy falling to 9.3 percent, according to CBRE’s ​​​Q12019 Austin Office MarketView​. The positive net demand was driven mostly by large-scale tenants occupying preleased space in buildings that delivered late last year. With 79 percent of the 1.3 million sf of new product delivered to the market last quarter, 2019 will continue to see strong absorption as tenants officially occupy their preleased space. The citywide triple net ​asking rent increased $0.86 to $26.90 per sf. This upward pressure brought the citywide full service gross asking rate to $37.62 per sf, a new record high for the market. 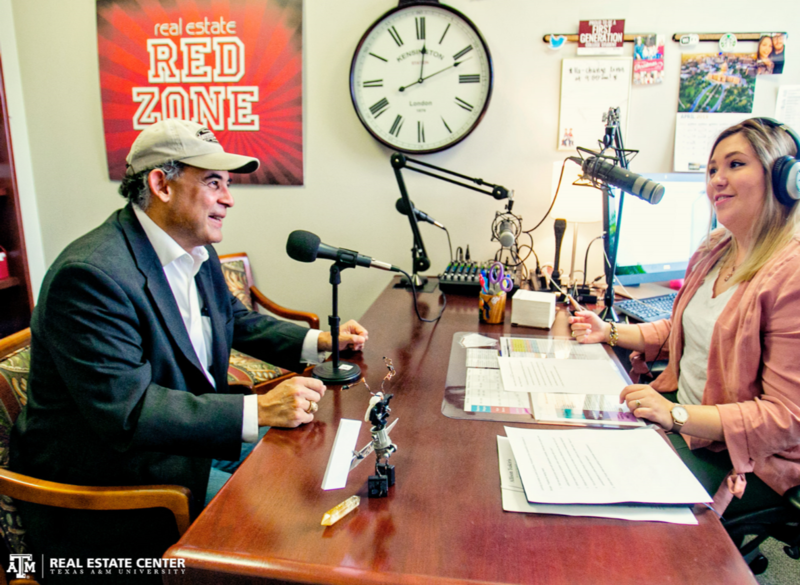 What is the Real Estate Center's Texas Home Price Index, how does it work, and what makes it unique? Read the new tech report accompanying the index online now. HOUSTON (Houston Business Journal) – A joint venture between Hicks Ventures and Taconic Capital Advisors has purchased a 342,000-sf building on 4.4 acres at 1177 W. Loop S.
Built in 1979, the building has floor-to-ceiling windows and 20,000 rentable sf per floor. It underwent significant renovations between 2014 and 2017. Cornerstone Mortgage is the anchor tenant who currently occupies 65,000 sf. HFF represented the seller, a Spire Realty Group affiliate​. It owned the building since 2012. Hicks will handle leasing and property management. AUSTIN (Commercial Property Executive) – Precourt Sports Ventures will break ground in mid-September on the $240 million Austin FC Stadium. Austin Commercial will manage construction of the 24-acre, 20,500-seat soccer park and stadium at 10414 McKalla Pl. Gensler is the lead architect and CAA ICON is the project manager. Developers aim to achieve a U.S. Green Building Council LEED Silver certification or an Austin Energy Green Building commercial rating of at least two stars when it opens in spring 2021. An independent report from Brailsford & Dunlavey estimates that 934 jobs will be created due to construction. This translates into a $103 million economic impact during construction, including an average salary of $52,000. The tower will offer 373 units and 6,800 sf of ground-floor retail and restaurant space. Amenities will include a pool, cabanas, yoga lawn, fitness center, coworking office space, and multiple social lounges with coffee bars. Completion is set for third quarter 2022. ​​The project team includes design architect Munoz + Albin, landscape architect TBG, interior architect Ragni Studio, and general contractor Harvey Builders. JLL arranged construction financing and equity. DALLAS (Dallas Morning News) – Kaizen Development Partners has started demolishing a seven-story office and parking garage at the corner of Olive and N. Akard Streets to make way for the new 25-story Link at Uptown office tower. The 300,000-sf project will open in 2021. It is next door to the new Union Dallas mixed-use development. NORTH RICHLAND HILLS (Fort Worth Star-Telegram) – Convergence Capital is developing the 10.5-acre Berry Creek Village along Mid Cities Blvd. across the street from Birdville High School​. The mixed-use development will include retail, restaurant, and office spaces. According to the plans, there will be 15 lots and room for 20 tenants. The first phase will be office space. Work is currently underway. The second phase will begin site work in a few months. ​​​​HOUSTON (PRNewswire) – Store Space has acquired 278,000 sf of rentable space across three area properties. The storage facilities are in Sugar Land, Humble, and Houston. The acquisitions are part of a 464,000-sf, six-property portfolio in Texas, Georgia, and Philidelphia. LONGVIEW (REBusiness Online) – A subsidiary of Fort Worth-based Mitchell Asset Group Inc. (MAG) has closed the sale-leaseback of the M. Roberts Media corporate headquarters and production facilities. The two buildings total 124,000 sf. Kelly Hart & Hallman LLP represented MAG. Old Capital Lending arranged acquisition financing.